The growth and advancements in the field of electronics, automotive, wireless communications & networking, IoT, industrial automation and robotics, smart cities, defence, healthcare equipment etc. 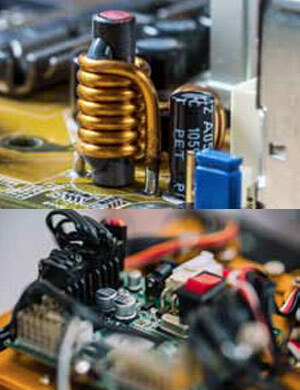 has resulted in boosting the embedded technology market worldwide. This is expected to be valued at USD 110.46 Billion by 2023, at a CAGR of 4.05% between 2017 and 2023. Embedded Technology is transforming all industries worldwide which is depicted by autonomous cars, smart factory, smart home, connected devices, smart appliances, robots, telecom infrastructure etc. and one can thus clearly say that we are now right in the middle of moving to a super smart society. 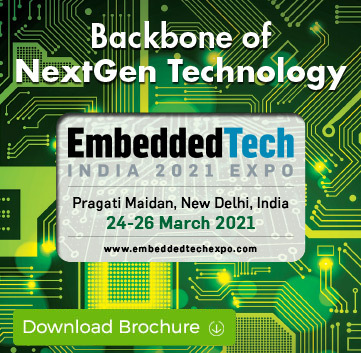 Embedded Tech India 2020 expo will play a pivotal role in bringing together Embedded Community including hardware, system software, tools, services, governing bodies, academia, OEMs/ODMs, manufacturers, resellers/distributors, solution providers & solution seekers under one roof. The expo will be an opportunity for companies to showcase leading-edge products and solutions for developing embedded systems used in diverse electronic manufacturing industry. If you want to be amongst showcasing the latest developments in the world of embedded system technologies, Electronic Manufacturing and Internet of Things and would like to establish new contacts, then Embedded Tech India 2020 expo is your must do event. Over 20,000 trade visitors expected including Key government officials from various sectors such as Hardware, System Software, Operating Systems, Virtualisation, Data security, System Development, Electronic Manufacturing, Certification & Approval, Emulators, etc. The three day conference at the Embedded Tech India 2020 expo aims to bring together the best minds in the Electronic Manufacturing, Communication software, and Software libraries under one roof to create an interactive platform and tap into new business opportunities.